BlackBerry PlayBook doomed like the Touchpad? | BlackBerry Blast! BlackBerry Blast! 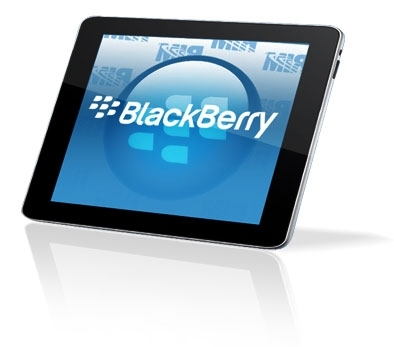 > News > BlackBerry PlayBook doomed like the Touchpad? BlackBerry PlayBook doomed like the Touchpad? RIM is set to release earnings today, and many analysts are already predicting gloom and doom for the company. One analyst in particular suggests the PlayBook will find the same fate as the recently discontinued HP Touchpad. Wedge Partners analyst Brian Blair believes that there is no reason to suggest that RIM is poised for a turnaround. On the PlayBook tablet, Blair�s opinion is even more dour. "Last quarter RIM talked about shipping 500,000 units but did not speak of sell-through for obvious reasons," the analyst wrote in a note to investors on Wednesday. "Channel fill could turn up another decent shipment number this year in the 500,000 � 700,000 unit range but we believe sell-through has been weak enough that that number will trend down over the year and RIM will likely send the PlayBook into the same graveyard as the HP TouchPad." Can RIM turn it around? The company likely needs new leadership as they have been behind the curve for some time now. BlackBerry users love their BlackBerrys, especially because it has the best keyboard in the market. However, many new customers are opting instead for Android or iOS devices so RIM has a big mountain to climb. Maybe they can get a QNX phone to market soon which may give them a boost. Stay tuned.